It seems our cat’s weekly romp in the back yard has come to an end, thanks to Frankie. The last couple of times we let them out, Frankie led me on a wild goose chase, hiding under cars along the way so I couldn’t catch him. Last week was the final straw and Rose decided she did not want to let them out again. Of course, not letting them out and not letting them get out are two different things. Three times in the past week Frankie got out the front door when we were trying to leave or come in the house. Two of those times Chris ran out the door at the same time. They double team us. When we try to block one, the other cat sneaks around us and out the door and then when we shift our focus to that cat, we end up losing both of them. It seems weird that I am saying this but Chris is good. He always stays close to the house, at least for a little while. Frankie runs like the wind. The first couple of times he got out I was able to grab him right away because he was distracted by a lizard. The last time was on the weekend when Rose and I were leaving to catch a movie. Frankie led us both on a long chase. On my last post on this subject, Nellie suggested a Super Soaker might get him out from under the cars. With that in mind I grabbed the squirt bottle that we sometimes use to help us get into the house and to also stop Frankie from picking at the screen by the front door. I used it on him several times to try to dislodge him from the cars he was hiding under. Sometimes it would work but he would just run to the next available car. Other times I kept squirting him but he seemed not to notice. I was starting to get worried because, despite our attempts to “herd” him the other way, he kept getting closer to the busy road we live near. Finally I was able to get him out in the open where Rose grabbed him and brought him home. What concerns me now is we are planning to move to a new place. One without the big back yard and one that may be less tolerant of cats running around outside. I want to keep them inside but I also want to bring them out so that if they do escape they will know where home is. This entry was posted in Uncategorized and tagged bad cats, Cats, chase, escape, hide, squirt bottle on April 28, 2015 by Charles Huss. Sunday, Rose and I went out to do a few errands and have lunch. When we returned, Frankie ran out the door again. This time, by pure chance, I happened to be carrying my GoPro camera and turned it on as I gave chase. He led me on a bit of an adventure and I actually lost him a couple of times but the chase was cut short when Frankie caught a lizard and wanted to bring it home. I think he is more like Chris then he would care to admit. 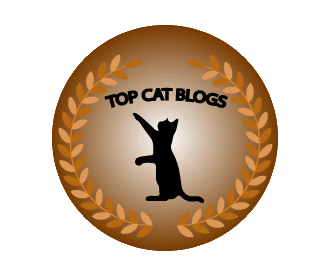 This entry was posted in Uncategorized and tagged cat, chase, escape, GoPro, hero 3 on January 26, 2015 by Charles Huss. It happens every time. Whenever it is time for Chris to come inside, he gives me a run for my money. I suppose I can’t blame him. When I let him out I have to watch him and I rarely have the time to just hang out and babysit a grown cat. Lately, Chris has been the only one allowed outside. Frankie turned out to be a runner so it is not safe to let him out. He’s been out twice and both time we had to chase him through the neighborhood to get him back. I’m afraid we will lose him if it happens again. Puck likes to go outside and he generally stays close but sometimes he gets nervous and wants to go back in right away so I don’t feel bad leaving him inside. Chris makes getting out the door his mission in life. I often let him out just because it is easier than trying to stop it. For example, if I have a lot of groceries to bring in I let him out so I don’t have to fight with him on every trip. Sometimes I don’t let him out but he slips past me anyway. In either case, I usually give him a few minutes and then try to retrieve him and bring him back inside. That is when he gives me the most trouble. He knows when I am ready and he goes out of his way to avoid me. I think that is also when he starts looking for a lizard because he doesn’t want to go back in empty-handed (or empty-pawed). Here is a recent attempt of me trying to get Chris to come inside. This entry was posted in Uncategorized and tagged Bad Cat, cat, chase, outside on August 18, 2014 by Charles Huss.